Hitting Submit, meaning that your application is now being processed by both OptomCAS and SCCO. What are the key steps in that process? Submitting an application to a professional school is inherently anxiety-producing. While some of this anxiety is warranted, much is unnecessarily produced simply from lack of knowledge regarding the admissions process. SCCO’s admissions advisers are here to help! This two part article will guide you toward appropriate resources and insider tips—all provided to ensure smooth sailing on your journey to being admitted to optometry school. Please note that while much of this information may apply to any or all optometry programs, some content is specific to SCCO. Applicants are advised to thoroughly review the OptomCAS website, especially each individual school’s admissions policies for current and accurate information. 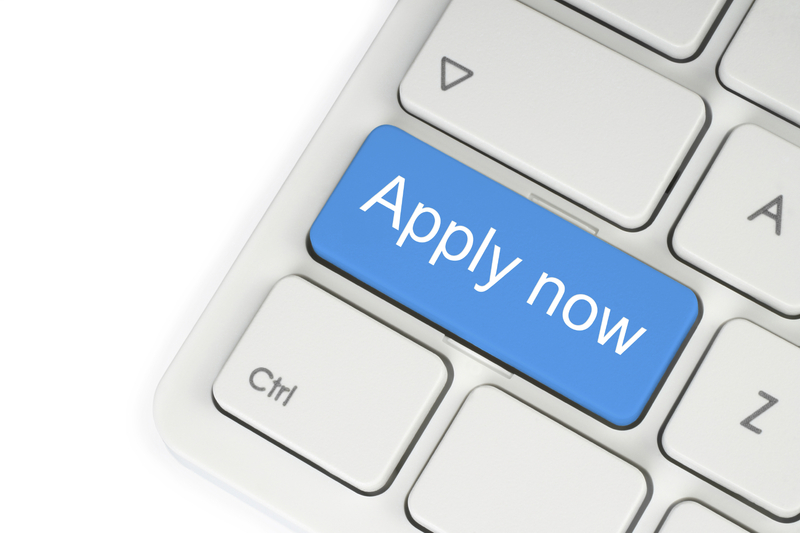 All optometry schools require applicants to submit their applications through OptomCAS. Each cycle begins on July 1. The deadlines for submitting an application varies from school to school. Once the online application is accessed, OptomCAS allows applicants to work on their applications, save changes, and submit when ready. It is important to read the directions provided throughout the application thoroughly because some entries are irreversible/permanent even if the application has not yet been submitted. Once you create a login, the first section you’ll want to tackle is “Manage My Programs” where you’re able to select the various programs you plan to apply to. You may go back and edit this section anytime if your program choices change. OptomCAS charges processing fees, which are addressed in this section. As you view the program options, you will notice that OptomCAS provides a deadline date. Adviser Tip: it is VERY important that you research the schools you are selecting to find out if they utilize rolling admissions. If they do, waiting until the last minute to apply jeopardizes your chances of being admitted. Apart from making sure you’re providing accurate information, it is important for you to know that admissions officers look at the ENTIRE application to determine if an applicant has what it takes to serve as a health care provider. Such professional qualities include: paying attention to details, being thorough, double checking your grammar and content. Many applicants make the mistake of laboring over their personal statement for weeks yet neglect to proofread the rest of their application, editing for the use of proper punctuation and grammar throughout. While the application is central, there may be additional requirements or information that is specific to a program’s admissions requirements that are not stipulated on the OptomCAS application. Become an expert in the admissions process for each school you are applying to. Know what makes a competitive applicant profile and how that program evaluates your application and grades. 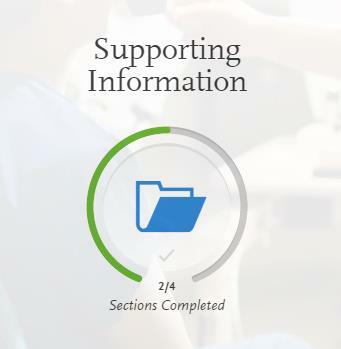 Adviser Tip: So you know how many elements are completed and to gauge your progress, OptomCAS provides an icon entitled “Sections Completed” for each category. While this is helpful, you are advised to communicate with your designated programs after submitting your application to verify that your application is in fact considered complete by their program. When filling out your personal information such as addresses, contact information, citizenship, etc. it is important to thoroughly check your information before hitting “submit.” If the email address you currently use is tied to your undergrad institution, you may consider opening a generic account as many schools have intense firewalls that may block emails coming from the optometric program’s servers or OptomCAS. Another element of this section pertains to any legal issues such as misdemeanors, felonies, etc. Most schools require a Criminal Background Check to be completed by accepted applicants. An acceptance is provisional until the CBC does clear. In addition to the CBC and as part of your OptomCAS application, you will be disclosing any previous or current legal issues. You are required to submit an expanded statement relating to any incidents you disclose as part of your application. In this section, you will record ALL colleges and universities attended, including dates attended and degrees earned or expected. OptomCAS requires grades for every school and course to be entered. For details regarding how coursework should be classified, refer to OptomCAS’ FAQ section referenced at the beginning of this article. Even if you only took one class at a school, or the coursework appears on another school’s transcript, you will need to input the information and have the original transcript submitted directly to OptomCAS for verification purposes. OptomCAS will review the transcripts for accuracy and supply the information for each optometry program, to use the verified grades to evaluate GPAs, identify trends, etc. Adviser Tip: Admissions advisers may counsel you as to what academic benchmarks you should meet to be a competitive applicant; however, when the season begins, competition within the applicant pool must take place and you will be forced to compete with other applicants in the pool for a shot at an interview invitation. You will add “Standardized Tests,” or the Optometry Admissions Test in this section. 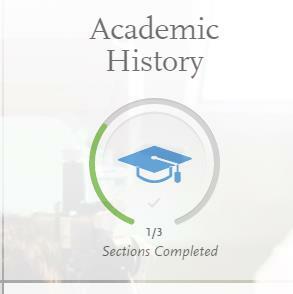 This section allows you to enter scores if you have already taken the test, or enter a date when you plan to take the test. Be encouraged to enter future test dates as this information factors into our decision making process. In addition to entering the above information into OptomCAS, you must also let the OAT testing facility know that you would like your scores released to the various programs to which you apply. 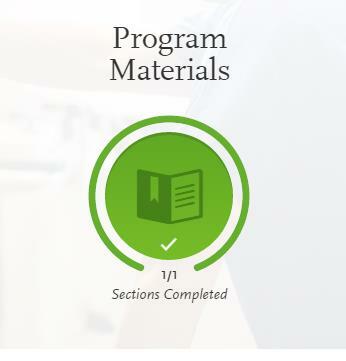 Each program processes test scores differently so it is important that you research each program’s preferences and requirements regarding the OAT. SCCO will not offer an interview invitation prior to receiving OFFICIAL OAT test scores directly from the administrators of the OAT. Also, unofficial copies submitted by applicants are not acceptable. OAT scores are sent directly from the OAT testing agency to OptomCAS. It takes OptomCAS 3-4 weeks to get your application verified and delivered to the various optometry programs. The first time you take the OAT, it takes roughly 3-4 weeks from the date of your test for the scores to populate in OptomCAS. After a retake, it takes roughly 1-2 weeks from the date of your test for the scores to populate in OptomCAS. If you have taken the OAT before applying, it will take about 10 days for your OAT scores to populate in OptomCAS. You do not need OAT test scores to apply; however, your application will not advance in the process until OAT scores are received and evaluated. For evaluation, SCCO uses the highest set of scores from the most recent OAT test date. Within the admissions cycle, SCCO is proactive in informing applicants should it be necessary to retake the OAT to improve competitiveness. SCCO does not require TOEFL scores from foreign applicants. This section includes Evaluations, Experiences, Achievements and a Release Statement. New for the 2017-18 admissions cycle going forward, Letters of Recommendation are NO LONGER REQUIRED as part of your OptomCAS application. Should you wish to submit LORs with your application, the following information should prove helpful. The email from OptomCAS provides instructions for the recommender to upload an electronic copy of the LOR he or she has prepared, as well as how to fill out a “rating of attributes,” the form where the recommender rates the applicant on various skills and qualities. Hardcopy letters will not be accepted by OptomCAS. Each school has specific recommendations or requirements regarding LORs; therefore, it is important to research each program’s individual requirements. When a recommender submits his or her information, an email is triggered to notify you of its completion. You DO NOT need to wait until all LORs have been received in order to hit “submit” on your application. LORs will continue to populate in your application even after you have officially submitted. Adviser Tip: Though submitting LORs is not a mandatory requirement, they will be read and considered should they be submitted as part of your application. When deciding between the recommenders who will write LORs on your behalf, a rule of thumb is to choose the recommender who knows you best. Sometimes this is impossible, (i.e. when you have an academic adviser who had you in class for, say, only one term, and didn’t really know you all that well). Because the recommender states how long he or she has known the applicant, it is a more authentic source when there has been a longer relationship with the applicant. Experiences may be classified on OptomCAS in one of these categories: employment, extracurricular, shadowing, optometric experience or volunteer. You will enter the name and contact information of the organization or individual you interacted with, as well as experience dates and details. Many students fail to include experiences or activities because they don’t think they relate directly to optometry. This is a big mistake! Admissions officers and application reviewers are trying to get the whole picture of who you are as a person in order to answer the important question of “is this person doctor material?” While much of these experiences are explored during the interview exchange, your application can tell us more about you than you know! Does this applicant have good time management skills? While evaluating experiences, we also cross reference your activities with your grades and course load to determine if you were able to effectively multi-task, balancing your schoolwork and activities, much like you will be doing during optometry school. Will this applicant work well with classmates and faculty members? Being the captain of an intramural soccer team may not tell us if you’ll be a good clinician, but it does tell us you have leadership qualities and know how to work with a team. Will this person work well with patients? Community service and employment are very effective ways to learn how to deal with the public along with developing excellent people skills. Applicants are advised to seek opportunities that will allow them to directly work with people from various demographics. Participating in a cancer fundraising walk does not help you learn compassion for patients the way that volunteering in a pediatric cancer hospital will. Tutoring your classmates is great, but tutoring at-risk youth will help you stretch yourself and get out of your comfort zone. Stuffing goodie bags for a holiday party at a senior citizen home is far less impactful than volunteering to talk with residents once a week. Does this applicant have a heart for service, and have they proven this with the experiences outlined? Talk is cheap. If your personal statement describes your passion for serving the less fortunate and your experiences don’t indicate that you’ve chosen to do this with your discretionary time, you’ve dug a hole for yourself. Adviser Tip: Confusion may arise as to what experience to list under which heading. For example, you completed an internship with an optometrist. Is that shadowing or optometric experience? If there is any confusion about under which heading your experience should be listed, it would be best to cross- list the experience under perhaps at the most two categories that apply. How far back should I go when including information? Typically admissions committees prefer work and experiences from the past few years, or your entire undergraduate career. If you have been involved in something since high school and are still currently involved, this is worth mentioning because it shows your commitment level to this experience. What if I have an experience planned, but it won’t take place until after I’ve submitted my application? (For example, you’ve secured an internship for the month of August but you are submitting your application in July) If you have an experience planned but not completed by the time you submit your application, you are best advised to include as much information as possible and note that the experience will be taking place. 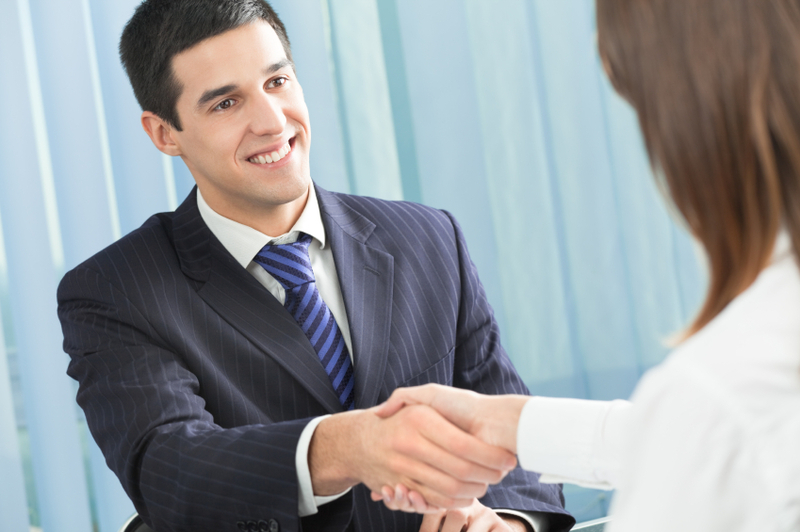 These experiences are explored fully in the interview, which is when you need to have information about additional shadowing and experiences ready to discuss. What if I don’t know an end date of the experience? OptomCAS will allow you to leave the “End Date” section empty. Achievements are awards and honors earned and should be self-explanatory. Include high school awards especially if they are academic. When you click on a particular optometry school, it brings up an overview of their program as well as a “Questions” section. This is where you will submit your 4500 character Personal Statement. Some schools such as SCCO have OptomCAS host their supplemental essay questions, which allows applicants to submit their supplemental essay questions through the OptomCAS application instead of sending them separately to the schools. Here are Essay Questions. Once you’ve completed and submitted your application, OptomCAS will begin the verification review process. This review process typically takes 3-4 weeks. Once your application is released to the schools, you typically will be contacted by each program regarding any additional fees, missing requirements or updates. SCCO communicates with applicants two ways: 1) email updates regarding the status of your application or missing requirements, and 2) we provide each applicant with a secure personal login for your own personal online Applicant Portal which allows you to track your status, read helpful documents pertaining to the particular stage of the process you are in, submit school-specific payments, and check on which requirements have been received or may be missing. You’ve tediously entered transcripts, proof read your personal statement 2,020 times (because you’re after perfection, of course), and you’ve contacted all of your letter of recommendation writers, right? You’ve hit “Submit,” and so congratulations, your application is done! A mistake many applicants make is assuming that as soon as they hit “Submit,” there’s nothing left for them to do but sit around and wait to hear back from schools. Not so. Instead, now you must proactively manage your application all season long by periodically logging onto your OptomCAS application and making sure that 1) transcripts and LORs have been received, 2) your “Experiences” sections stay updated with new activities and new shadowing experiences, 3) you are adding updated OAT scores should you have retaken the OAT, and 4) making sure that no further action is required on your part. “In Progress”: Application has been started for this program, but has not yet been submitted to OptomCAS for processing. “Received”: Applicant has e-submitted application, but required documents and/or payment have not been received. “Complete”: Applicant has e-submitted the application, and all required documents and payments have been received. Applicant is currently in queue for verification and to have GPAs calculated. As soon as you hit submit, your application goes to OptomCAS and NOT directly to the schools. OptomCAS will cross-reference/verify your transcripts for accuracy, and collect your letters of recommendation prior to releasing your completed application to your designated schools.This process typically takes 3-4 weeks. Applicants are encouraged to monitor their application through the “My Application” section of their application and contact OptomCAS with any questions. SCCO will inform you via email when your application reaches this stage in the process. “Verified”: Application is completed, verified, and has been released to schools electronically as ready for review. Once your application reaches this stage, SCCO will contact you through two separate emails: 1) to let you know your application has reached our program and is eligible for review and, 2) to provide you with a personal login for our My.Ketchum.edu Applicant Portal. This Portal will allow you to pay your $75 Supplemental Application Fee, which initiates the review process on our end. “On Hold” or “Undelivered” are designations made by OptomCAS. If this is your status, OptomCAS customarily will notify you as to the reason why; however, you are best advised to proactively contact OptomCAS to find out if there is any action required on your part to move the process along. As you periodically check in on your application, if you see that your application is in any category but “verified,” it means that it is not eligible for review. If this is the case, direct all questions about your application to OptomCAS. Adviser Tip: SCCO’s supplemental essay questions are included in OptomCAS, so there is no need to submit any additional content beyond the payment. As soon as this payment is received, we will access your OAT scores (unless you haven’t taken the OAT yet) and begin reviewing your application. Here is the overview of our first qualifying round in the process, the academic qualification. First Possible Outcome is “On Hold”: This may happen for a variety of reasons such as: missing or low OAT scores, awaiting fall grades, etc. If your application is placed on hold, you will be notified by email stating the reason for the hold and provided details if any action is required on your part. Once the requested items are received, we will review your application again and you will be notified of a status update. If your application is indeed placed on hold, don’t get discouraged because applicants who are placed on hold may be taken off hold and offered an interview at any time during the season. Second Possible Outcome is “Offered an Interview”: Congratulations! 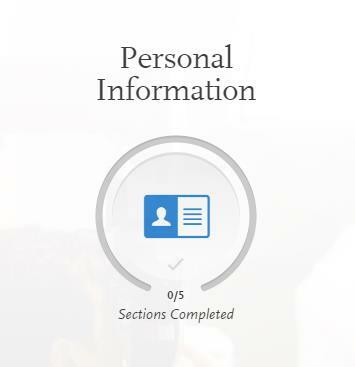 Through your Portal login, you will have access to schedule an interview time slot for an on-campus interview. “The Interview-The Second Qualifying Round” will provide information about what the interview day is like. Blog Articles About Preparing to Interview is a series of articles written to prepare you for SCCO’s applicant interview. Blog Articles About Shadowing will help you with this all-important interview topic. It’s important to shadow but it’s even more important to know how to discuss your shadowing experience in the interview. SCCO Applicant Interview Video Series is hosted on SCCO’s YouTube Channel, it is a reenactment of an actual applicant interview with SCCO clinical faculty and still our most popular video on the Channel. “The Interview Explained“ is a video series hosted on SCCO’s YouTube Channel where the admissions advisers (Dr. Jane Ann Munroe, Assistant Dean of Admissions, and Eryn Kraning, Director of Admissions) discuss the topic of the interview and what to expect. The Medical School Interview by Jeremiah Fleenor, MD, MBA is a book that is highly recommended as a tool to prepare to for the interview. this book serves as the code-cracker for understanding why interviewers ask the questions they ask. It gives practical tips on how to prepare yourself to interview and even about how to dress for the encounter. It is a must! Advisor Tip: Interview time slot reservations are first come first serve. We utilize rolling admissions explained so applicants are encouraged to take the first available interview time slot. First Possible Outcome is “Being Placed on the Alternate List”: Applicants placed on the Alternate List are still being considered for admission, but have not qualified for immediate acceptance. For more information on how the Alternate List functions in a rolling admissions cycle. Second Possible Outcome is “Offer Made”: Congratulations! 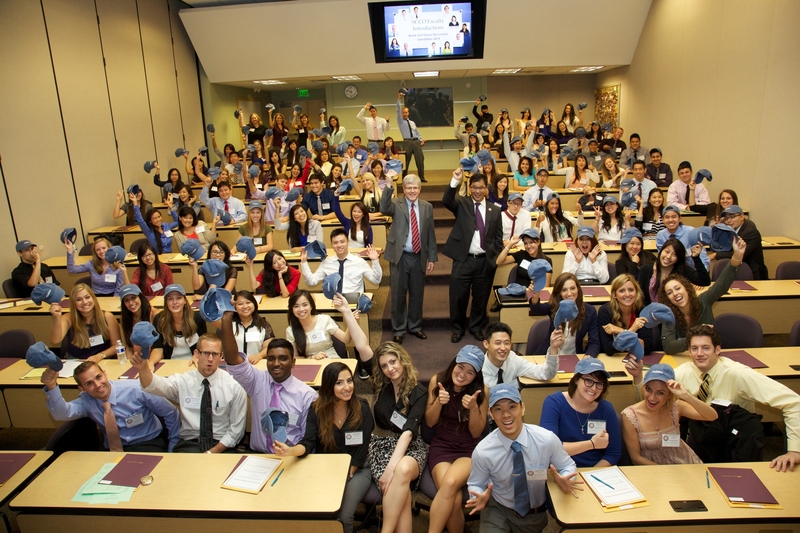 You have been provisionally accepted to the Southern California College of Optometry! Terms of your acceptance include submitting a signed Matriculation Agreement, paying the first half of your $750 non-refundable deposit, and initiating your Criminal Background Check (CBC). Prior to May 15, applicants have 2 weeks to submit these 3 requirements. After May 15, applicants have 1 week to do so. A hardcopy acceptance letter will be mailed. Securing your seat in the incoming class is contingent upon completing the above three requirements by a deadline. The CBC needs to only be initiated by the accepted applicant before the deadline and not necessarily received by SCCO as it may take up to several weeks for company to complete the check. Once the satisfactory CBC is received, your official acceptance will be granted and your seat in SCCO’s incoming class is secure. Welcome to the MBKU Family! Applicants who were placed on hold and not offered an interview and thus not moving forward in the process to an interview invitation will typically be notified by March or April at the latest. Applicants who interview and are placed on the Alternate List may be offered a seat in the class at any time during the season prior to Orientation, but typically are called up after all interviews have concluded in the spring. Past season’s trends suggest that anyone not admitted off the Alternate List by mid-June will likely need to accept an offer elsewhere or reapply, however it is possible to be admitted even as late as mid-August should an open seat become available. For students who are admitted to the class, Peer Advisors will be assigned during the summertime. The Peer Advisors help with any questions matriculating students may have leading up to Orientation in mid-August. Peer Advisors also host a Peer Advisor Blog and here are some sample Peer Advisor blog articles written for incoming students. So now you have it. For those who work through the process with confidence, it should be a very enjoyable process. If you swing by campus to drop off pre-orientation paperwork, please stop by and say hello to Dr. Munroe and me because we love seeing our incoming students and their families as they prepare to embark on an exciting four years with us at SCCO! Thank you for hosting our site!